I attended tonight's WrestleMania weekend Dragon Gate show in Phoenix. It was held in a small, circular theater, with a very unique elevated ring setup. Before the show, fans were permitted to meet the stars of DGUSA and get autographs and pictures. Everyone was very cool, and great with the fans. Also, they were offering a discount on tickets if you traded in tickets from tonight's ROH show. (a) Brad Allen won a special pre-show FRAY elimination battle royal featuring the Prophet, Chimaera, the Cutler Brothers, Malachi Jackson, Brad Allen, and the Irish Airborne. The match went on as people were coming in, so the crowd was a little quiet. There was a half-hour break until the main show. The attendance was spotty enough that they moved general admission down closer. They also filmed a spot with Bob Saget for his A&E documentary before the show. Bob Saget came out as special guest ring announcer, with humorous results. Jon Moxley and Yamato intimidated him until BxB Hulk intervened. (1) Open the Dream Gate champion YAMATO quickly dispatched Luke Hawx. Good heat and support for Yamato. (2) Genki Horiguchi & Susumu Yokosuka beat Mike Quackenbush & Jigsaw. Jigsaw was dominated until Quack could be tagged in, and hit some good spots. Good match, and they shook hands afterwards. 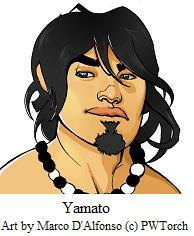 (3) Open the Dream Gate champion YAMATO beat T.J. Perkins via submission. A decent match, but the crowd didn't seem into it. YAMATO definitely works a good heel style. (4) Jon Moxley & Brian Kendrick beat Jimmy Jacobs & Paul London. This match was a little plodding, but it picked up when London could not get Kendrick to come in and fight him. When he wouldn't, London fought an invisible guy. London pleaded with Kendrick to come in, invoking their days as WWE jobbers. After the match, Jacobs held Moxley on a table, and London tried to climb the ropes to jump down. Kendrick stopped him. Teddy Hart came out and implored them to take it all the way. They jumped him, and he flew out to the outside after them. He took a hard bump. Then it ended. (5) Masato Yoshino beat Shingo In the best match so far. They worked a good, hard match, focusing on Shingo's injured knee. Great match. (6) La Parka & El Hijo del Rey Mysterio beat GQ Gallow & Derek Niekirk. This was by far the hottest match. A vocal contingent of local fans of the second team dueled Lucha fans in chants. The match wasn't so great, but the crowd was hot and on their feet the whole time. A fun, fun match. 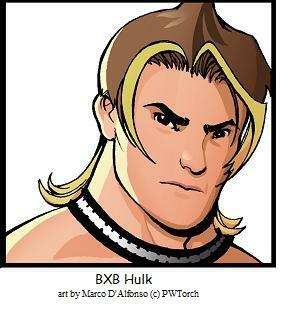 (7) DGUSA champion BxB Hulk beat Naruki Doi to retain the Open the Freedom Gate Title. A very good match, but the crowd was firmly behind Doi. (8) CIMA & Gamma & Dragon Kid beat Jack Evans & the Young Bucks (Nick & Matt Jackson a/k/a Generation Me in TNA). A lot if good highspots, and also some good comedy. CIMA really played to the crowd, and it was a good match. Overall, this was a good card. Some of the wrestling wasn't as good as prior DGUSA shows, but the show was still very strong.